Small bowel bleeding is often difficult to detect using traditional endoscopy procedures. If small bowel bleeding is suspected by a gastroenterologist such as Dr. Yamini, the use of capsule endoscopy may be recommended in order to get a clearer picture of what is going on in the small intestine. In the past, effective imaging of small bowel bleeding was not possible. Dr. Yamini evaluates each patient on a case-by-case basis and will discuss the use of capsule endoscopy where appropriate. If you are experiencing intestinal problems, it is important to get to the root of the issue so that treatment is provided quickly and effectively. 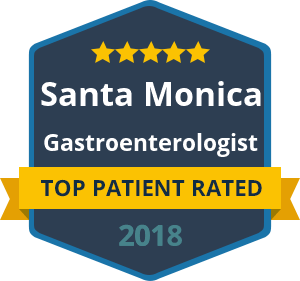 You can rely on excellence in gastrointestinal healthcare that is provided by Dr. Yamini and his team in California. We have offices in Santa Monica and Beverly Hills, making access to essential treatment for patients convenient and affordable. Capsule endoscopy involves the use of a medical imaging device which is swallowed by the patient. The capsule is designed to travel along the gastrointestinal tract. This is while taking wireless images and sending them back to an array of receivers. With capsule endoscopy, Dr. Yamini will receive a number of images per second which he can use in the diagnosis and treatment of conditions such as small bowel bleeding. If you have unexplained abdominal pain with no readily detectable cause, Dr. Yamini can use capsule endoscopy to take a deeper look at the small intestine and other areas of the gastrointestinal tract that are difficult to access. If you are a patient suffering from abdominal pain, reach out to the team of Dr. Yamini in California today. We are happy to provide expert consultation, diagnosis and treatment of gastrointestinal tract conditions in our offices. Do not suffer in silence, call to arrange your first appointment today!